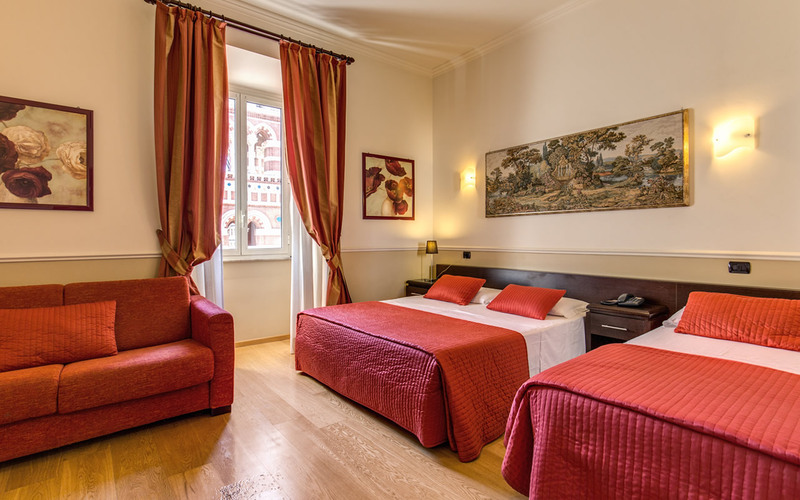 The Hotel Everest Inn Rome offers 14 comfortable and affordable rooms in the heart of Rome that are perfect for couples, families and groups of friend who wish to discover the Eternal City. ROOM SIZE: 9 m² or 100 sq. 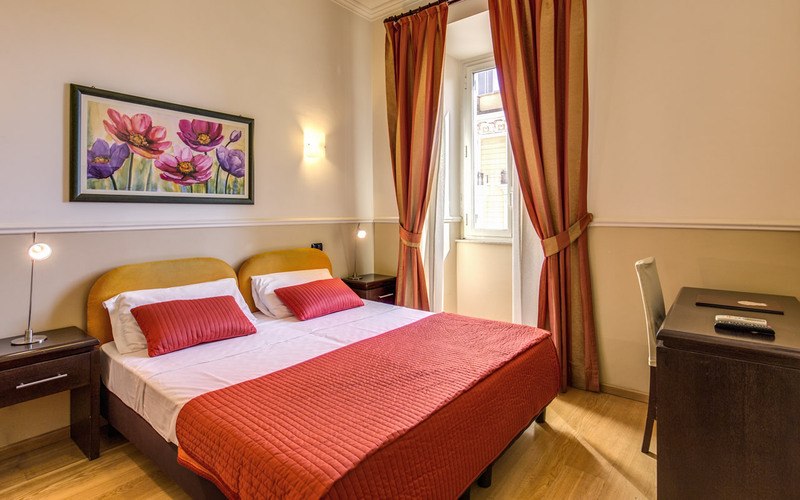 ft.
ROOM SIZE: 11 m² or 118 sq. 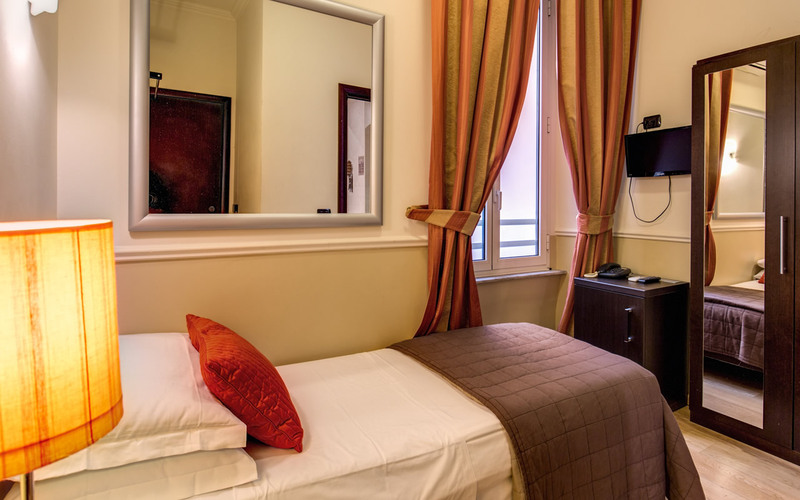 ft.
ROOM SIZE: 16 m² or 172 sq. 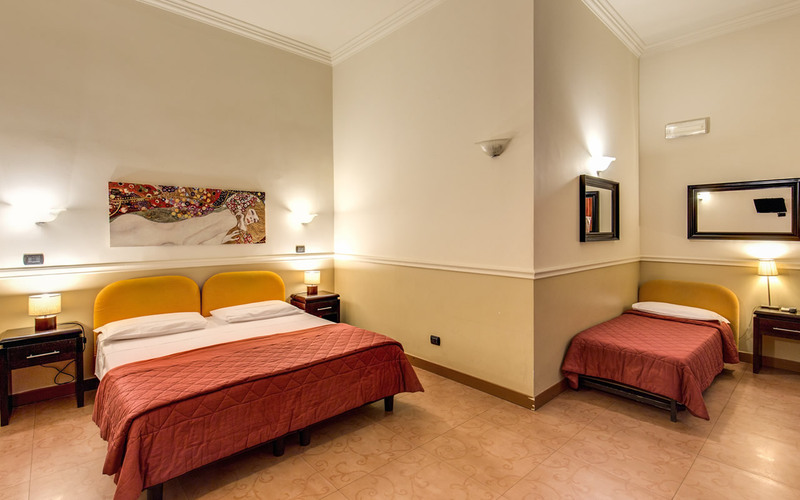 ft.
ROOM SIZE: 18 m² or 194 sq. 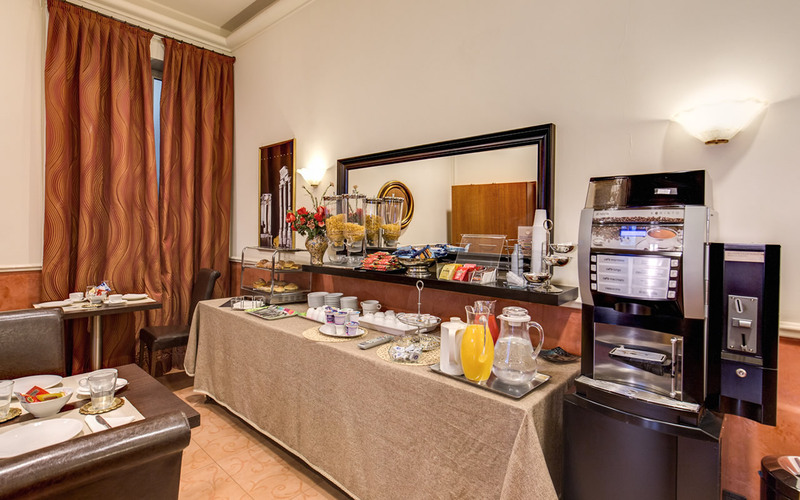 ft.
ROOM SIZE: 23 m² or 248 sq. ft.
Our guest rooms are available in a variety of occupancies ranging from singles to large family rooms able to accommodate five people! 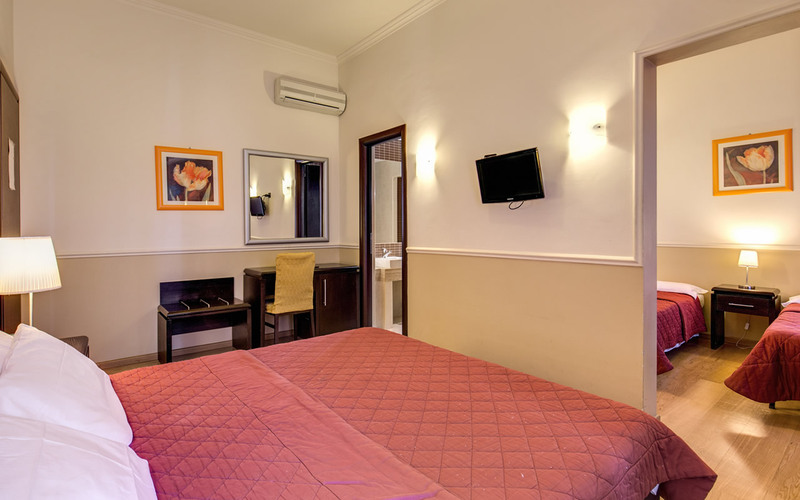 Certain DELUXE ROOMS also exist that additionally offer hydro massage showers or Jacuzzi bath tubs.